I was in Indianapolis for the national conference of the Popular Culture Association (March 28-31, 2018). I gave a paper on music in the television series Dexter. My second annual Christmas Podcast on “My Radio” @ stanpelkey.com is available! From November 1 through November 5, 2017, I was back in Milwaukee for the annual Film & History conference. It was an outstanding conference this year, and I appreciated the chance to meet several new scholars and become reacquainted with others. On Friday, October 27 and Saturday, October 28, 2017, I was at the University of Massachusetts Amherst for the Northeast Popular/American Culture Association annual conference. I presented a paper on Dexter. I spent the afternoon of Saturday, April 22, 2017, working with a group of my friends and colleagues on a recording and video project, which I have shared on my YouTube channel. I want to thank my partners: Sound of Cypress studio, videographer and photographer, Brian LaBrec, and Sophia Han (violin) and Zach Stern (saxophone). On Monday, April 3, 2017, members of the Bold City Contemporary Ensemble performed movements from two of my chamber pieces in a concert at Christ Presbyterian Church in Tallahassee, Florida. Maddie Pelkey joined the team as our first guest blogger in March! You can read her post about auditioning for music programs by following the link among the recent posts found on this page. I have joined the board of The Silent Film Sound & Music Archive. This organization is doing wonderful work to preserve the music of the silent film era and to make it available to listeners and performers today. During the Fall 2016 semester, I was in Milwaukee for the Film & History conference where I was part of a panel on Friday, October 28. I presented a recital of original compositions on Sunday, April 17, 2016, in Thomasville, Georgia. 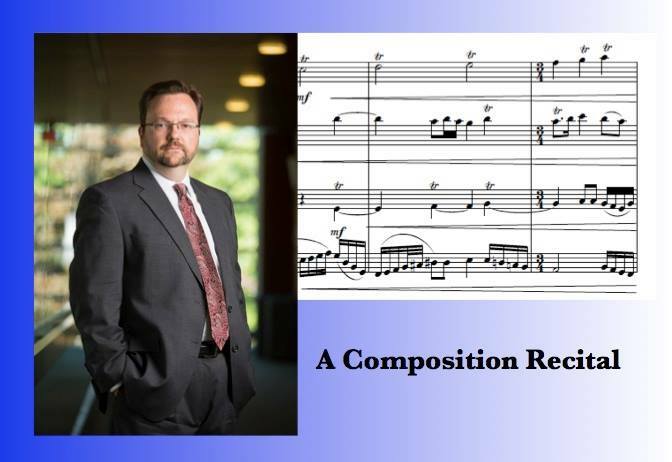 The program included several of my chamber works for winds and a major new piano work. I was joined on the program by talented graduate students from Florida State University. To view pictures and to listen to sample recordings, visit my post about the recital (“My Chamber Recital”).